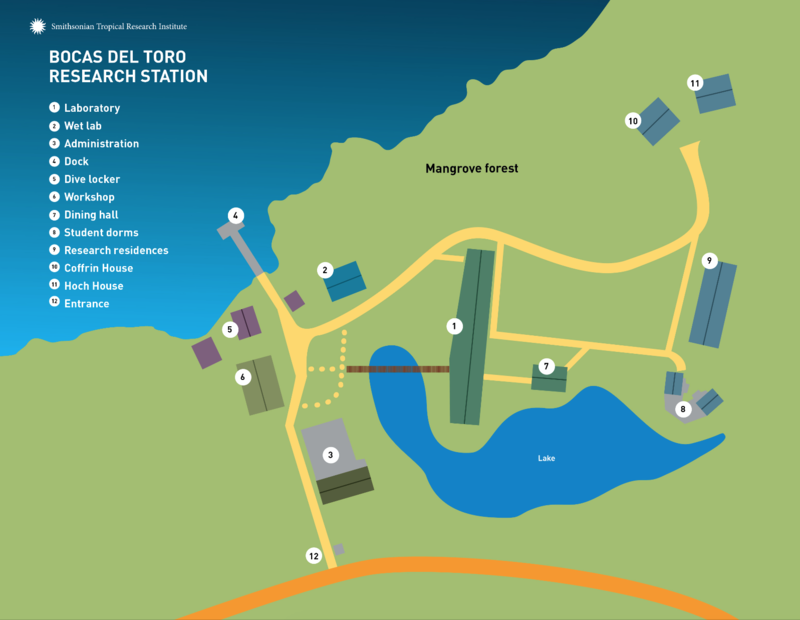 Most of the buildings at the research station are wheelchair accessible but not all paths between the buildings are. Please read our brief list of policies before visiting the station. Please take a look at our essential safety and security information. 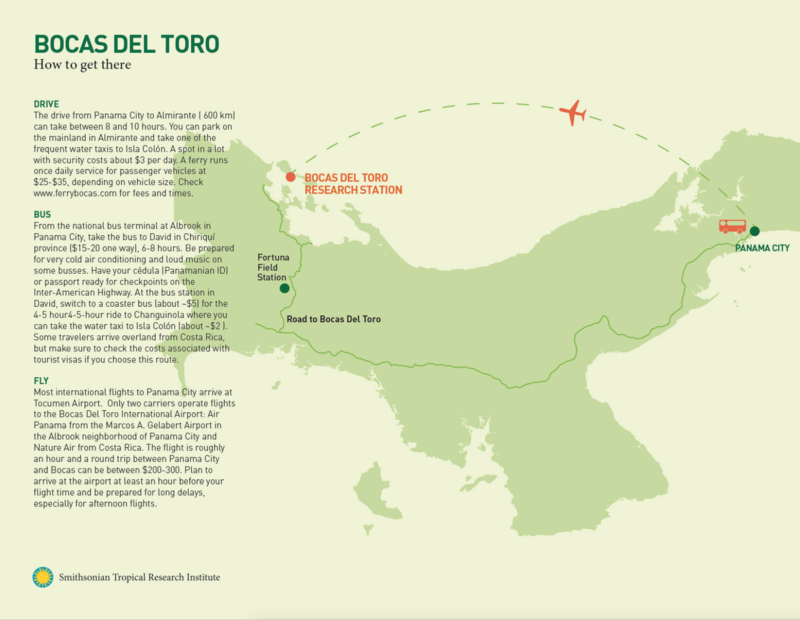 The station is located just outside of Bocas Town on Isla Colón, in the western Panamanian province of Bocas Del Toro. The station is on the island’s narrow isthmus, 2.4 km from the airport.